Over the last few weeks the reception children in RH and RR have been busily preparing themselves for their Christmas Production. 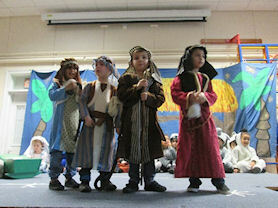 This week the children got to show all their hard work and perform the play in front of their parents and the rest of the school. 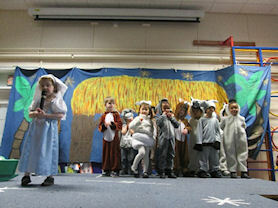 All the children have done amazingly well learning their lines and all the words for the songs. 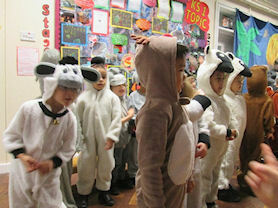 There are definitely some natural performers in Reception.